If you’ve just moved or your dentist has retired and you’re in search of a new one, where do you start? Better to put in some time now in your search so you end up with one you’re happy with. You’re in need of a new dentist. You could just randomly choose one, but it’d be smarter to put a little more time into finding the right one for you. 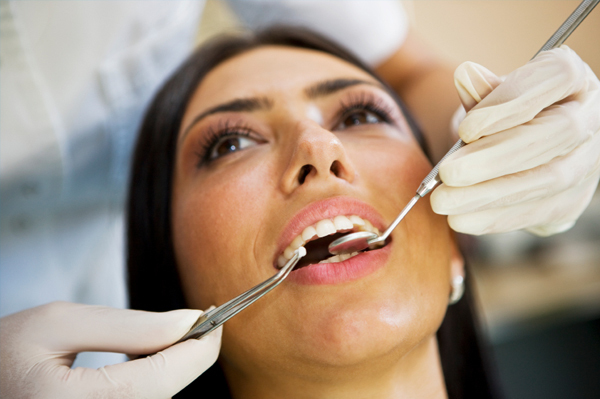 Here are some things to consider when starting your search for a dentist. Your social circle may have a dentist they’ve been seeing for awhile who they speak highly of and they can give you a good idea of what theirs is great at. Some dentists may spend much time promoting the latest tooth whitening product, which is fine if that’s something that interests you, but not so much if you’re really just focused on maintaining your healthy teeth on a budget. If you truly know no one in your area, search for one through dental associations online. If you’ve moved, your former dentist may be able to recommend someone in your new neighbourhood – just ask if they have any referrals. Your friend may rave about their dentist but if it takes you an hour to get there, consider whether this is something you’re willing to do three or more times a year. That said, you may not want to simply go to one in your neighbourhood because they may not offer what you’re looking for. Weigh the pros and cons of location with other priorities on your dentist wish list. Also, you may find it more convenient to see a dentist who is located near your workplace so that you can easily book your appointments for your lunch hour, for example. Check out the parking or transit situation of the dentist’s office. Find out about their hours, and find out if they’re available in off-hours if you have a dental emergency. What are the charges for missing an appointment, if any? Do they see many children (this is important if you’re choosing a dentist who can treat your whole brood)? When you call their office to find out the answers to these questions, you’ll get a good sense of their customer service. Actually going to the dentist’s office is another way to get these questions answered, plus you’ll gain a better sense of the overall ambiance and level of professionalism by popping in. If possible, you can arrange a first meeting with your potential dentist. You can discover what they specialize in and get a better sense of their personality and bedside manner. Also, some dentists may be more understanding for certain situations, such as not pushing you if you don’t have insurance coverage, to get a certain treatment that is not critical to your dental health, for example.